Interact with a screen without touching it is the principle of technology developed since 2010 by INUI Studio. It has already attracted many companies, but also some giants of audiovisual and computer equipment. Sometimes the truth is stranger than fiction. Steven Spielberg’s 2002 film Minority Report sees actor Tom Cruise (AKA John Anderton) slip on a pair of gloves to scroll through the images and data on the screen in front of him without even touching it. 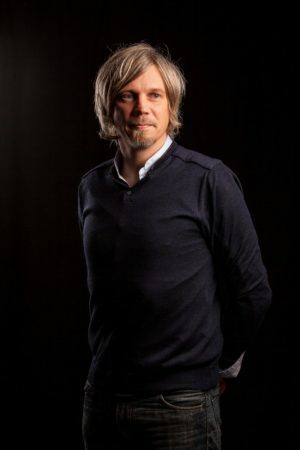 Less than a decade later, Olivier Raulot, a Frenchman employed by a software and computing services company, decided to embark upon a business venture that would lead to the creation of INUI Studio (INUI for Natural User Interface) in 2010 under the banner of a technology that would come to be known some years later as AIRxTOUCH™. This technology allows the user to interact with a screen in the same way Tom Cruise did, without any contact and, more importantly, without gloves! “Our technology is the only one of its kind in the world, the only one that works with any type of glass (double-glazing, bulletproof, etc. ), that is stable over time and that works in any weather and environmental conditions”, explains Olivier Raulot. The system works thanks to a series of micro-cameras that ‘recognise’ the hand and transform it into an actual pointing device, rather like the mouse for a computer. Installing a simple connected bar is all it takes to make any window ‘interactive’. In 2011, at the age of 38, Olivier Raulot was awarded the Creative Young Entrepreneur Luxembourg award by the Young Economic Chamber for a product that was still only at the prototype stage. Shortly after, he also picked up the European ICT Innovation of the Year Award as part of the ICT Spring. One of the first major clients to adopt the AIRxTOUCH™ technology was big-name international group JCDecaux, which specialises in urban furniture and signed an exclusive framework agreement for the provision of an outdoor (webcam-based) movement recognition solution for urban furniture. Within Luxembourg, professional property company Inowai and the BCEE bank were the first to place their trust in INUI with a view to ‘bringing to life’ the windows of some of their branches. The company strengthened its management team and shareholder body in 2013 with the arrival of new associate Christian Kelders, who had long been an administrator at software and computing services company Real Solutions. INUI, which now employs around a dozen people at the Technoport in Foetz, has been profitable since 2014 and is now focusing its efforts in two main areas, namely pure application development for large-scale touch-sensitive devices, in partnership with Microsoft, and the R&D division behind the AIRxTOUCH technology in partnership with Samsung. 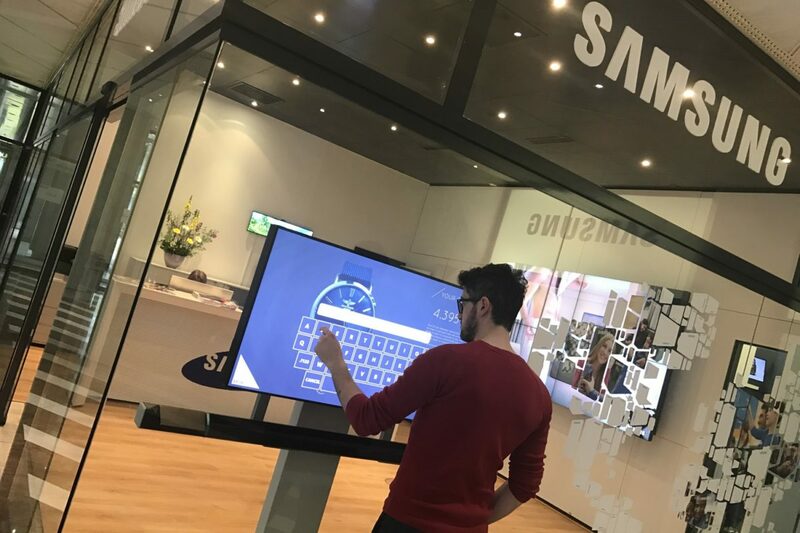 The company has invested nearly 2 million euros in research since 2014, filing no fewer than four patents, two of which have already been granted, and establishing a partnership with Korean group Samsung that has enabled INUI to enjoy Europewide technological and marketing support. Plans to open a local assembly plant in North America, in addition to the one currently in operation in Dreux, France, are also in the pipeline with a view to getting a foot in the door of the North American market. In the meantime, the company is continuing to develop its operations, including in France, with the PMU (Pari Mutuel Urbain) group, with a view to installing interactive windows that will enable users to place bets on horse races directly. When asked where he sees himself and the company in five years’ time, “we want to be the world leader in interactive windows”, is Olivier Raulot’s response. Olivier Raulot’s Motto : « Only few things are important. Then there are only few unnecessary risks ».